Welcome to Oriflame Mumbai. Oriflame has been a recognized name in the Beauty products industry for over 20 years. Oriflame carry a range of skin care products to suit every skin type oily or sensitive. The Oriflame range includes renowned skin c and hair care for ladies and gents. 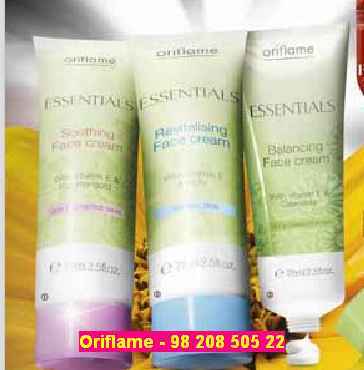 Oriflame supply all range of quality beauty care products to suit every budget. You are welcome to join Oriflame and become a Manager in 6 months or less. Oriflame has products from head to toe including skin care, Fragrances, color cosmetics, men's and kids' range. Get Oriflame - Natural Swedish Cosmetics for ladies. All the products are imported from Sweden. Free Home Delivery. Anywhere in Mumbai. Whether you prefer to sell by holding Home Beauty Demonstrations, or simply distributing Catalogues to your family and friends - the choice is yours. Oriflame product dealers in Mumbai earn an excellent income by working from home. Every 4 weeks you will receive a new product Catalogue from Oriflame. Oriflame distributors in Mumbai order 20 catalogues and show it to people you know and even ask them to give the Oriflame catalogue to people they know. They also give them the opportunity to host a home demonstration of beauty products form Oriflame. it's that simple! Another key benefit is that Oriflame offers a money-back guarantee on all products. To buy Products email product name, product code and quantity on jashmiw@gmail.com or WhatsApp on 9820850522.